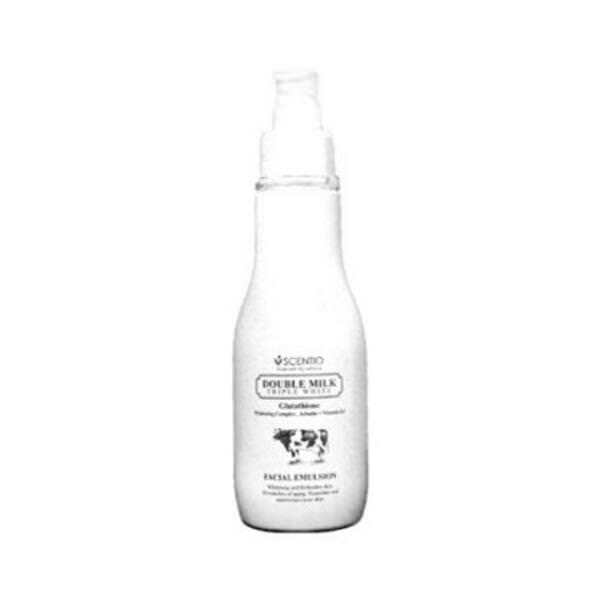 Goat Milk White Firm UV Body Whitening Lotion – Intensely moisturizing and firming with nutritional benefits of goat’s milk for extra soft and radiant glow. With the content of Co Q-10 is a high antioxidant that works to tighten, making skin healthy and radiant. Also provides UV protection. 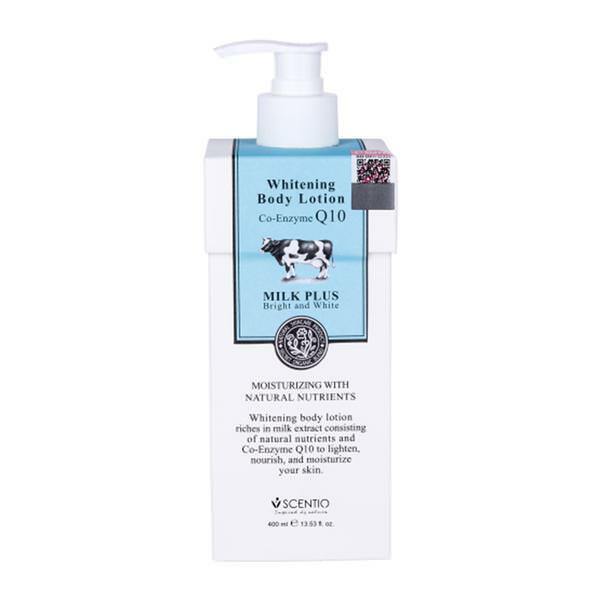 Whitening body lotion is full of readily absorbed bioactive milk protein extract and co-enzyme Q10, a naturally- occuring skin revitalizer. while milk protein extract conditions and lightens your skin tone, the key component, co-enzyme Q10, helps defend agains skin aging, provides energy, and protects skin cells from demage caused by environmental factors such as exposure to sunlight. Co-Enzyme Q10 prevents the free radical that is 50 times more powerful than vitamin E. After a short time of use, skin becomes brighter, more even, softer, and more refined. 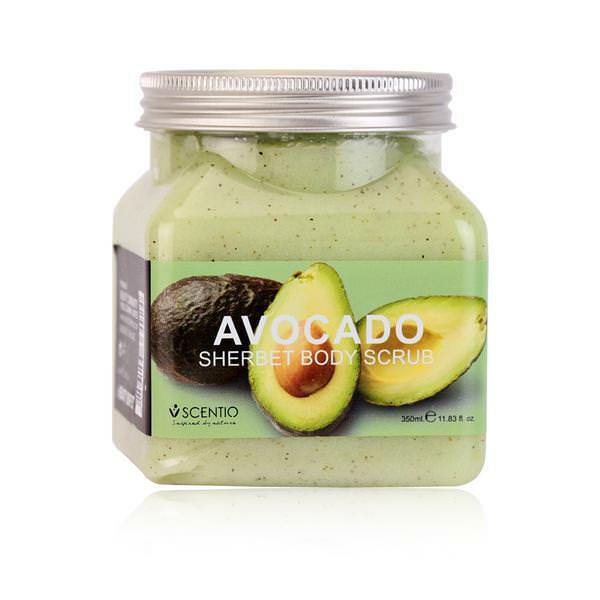 smooth your skin with pure sea salt blended with avocado extract and vitamins that gets your glowing. 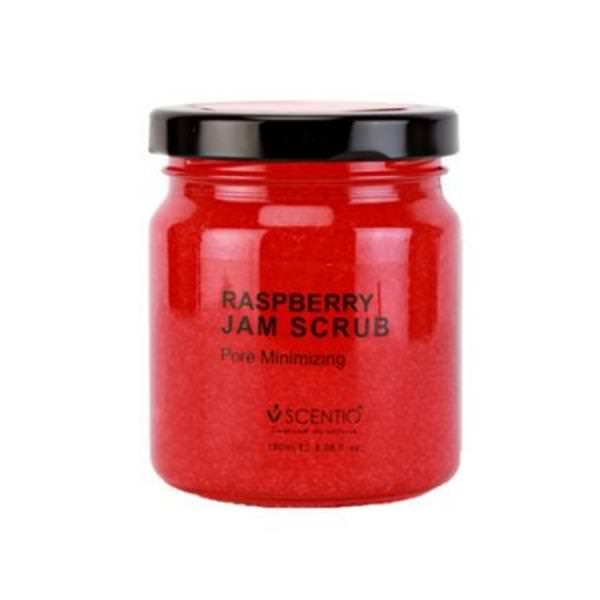 with non absrasive salt granule, this brightening scrub will help to gentle exfoliate away dark spots, dull and rough skin cell for clearer, brighter and more luminous skin. Intensively moisture and soften your skin with this nourishing collagen mask formula. 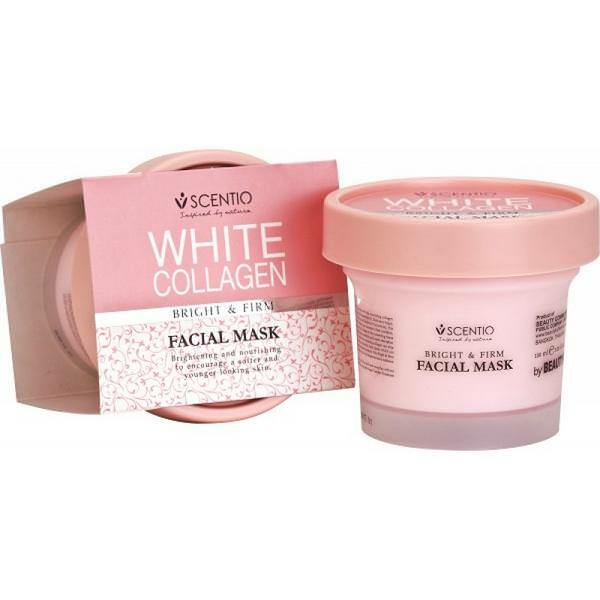 Formulated with Collaxyl (Hexapeptide09), Derivative Sugar, Collagen, NanoVitamin C, E, Nano Q10 and Bosabolol (Chamomile), this white collagen mask helps facial skin nourish and maintain it best condition. While the age is increasing, the amount of Collagen in the connecting tissue decreases and the remaining collagen loses its elasticity and water absorption capacity. 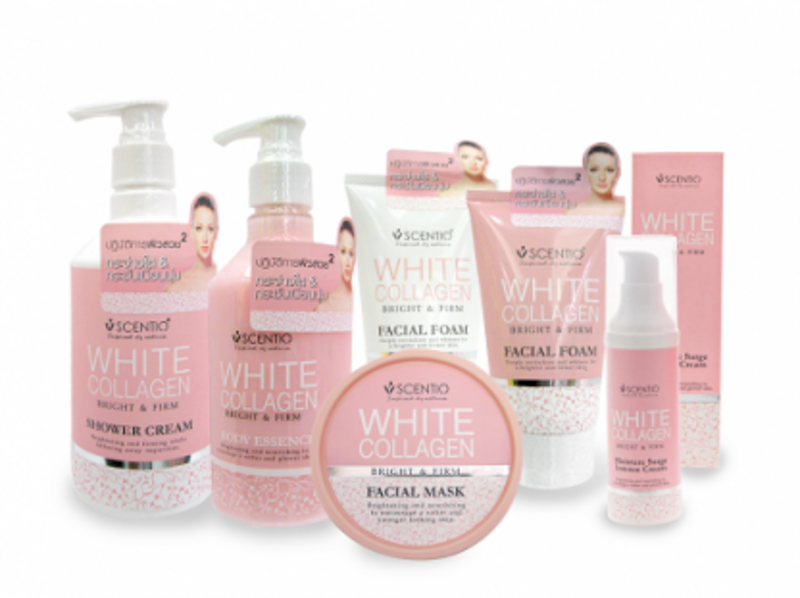 Treat your facial skin with products containing collagen can stop this process of aging. The skin becomes noticeably more elastic which can be seen by its the smooth surface and increased moisture. This Bright !#!amp!*! Firm Facial Mask furthermore relieves rough dry skin and improves skin’s resilience. Design to gently cleanse and remove impurities without over drying skin. Infused with Pine Needle extract to effectively inhibit the production of melanin for a clearer and brighter complexion, as Plant Peptide promotes collagen synthesis, maintains skin’s elasticity and retains hydraytion in the skin. 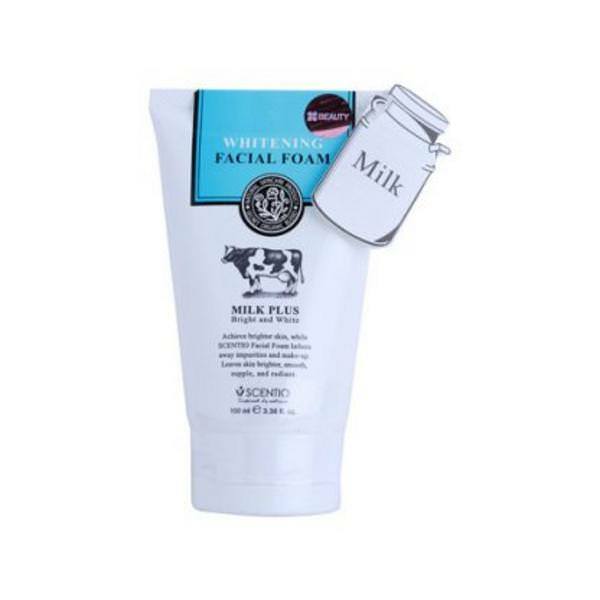 This White Collagen Mild facial foam will leave your skin feeling incredibly soft, bright, and supple. 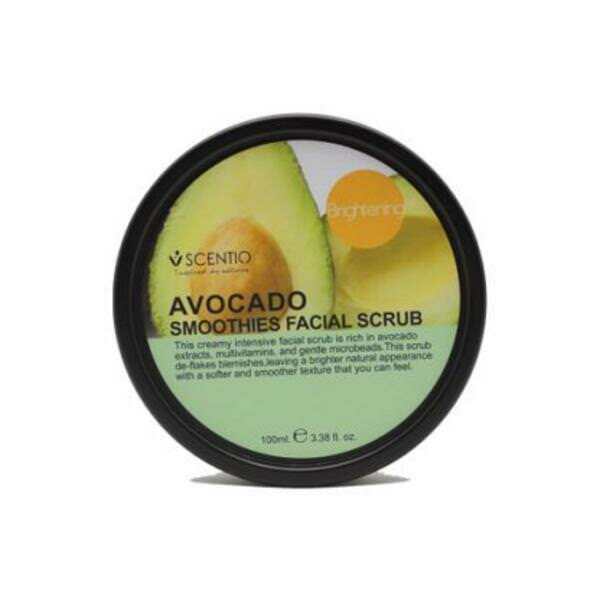 this creamy intensive facial scrub is rich in avocado extracts, multivitamins, and gentle microbeads. 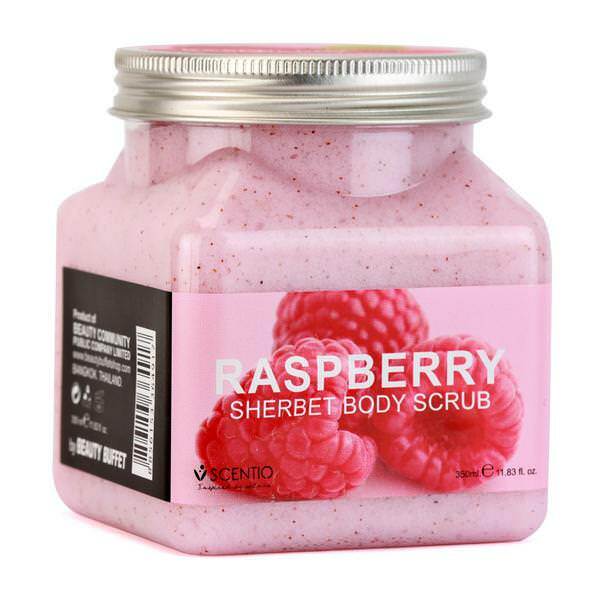 This scrub de-flakes blemishes, leaving a brighter natural appearance with a softer and smoother texture that you can feel. can cleanse face with Coenzyme Q10 soft formula and cow milk extract (Hydrolyzed Milk Protein) which makes skin soft, bright and healthy. containing aloe vera extract, Vitamin E, and Glycerin. Take enough then wipe until frothy and apply evenly on the wet skin. Its main ingredients is Milk Protein, Glutathione, Whitening Complex nd Arbutin to help yoour skin birghten, while Vitamin B3 stimulating collagen synthesis and promotinng cell renewal. 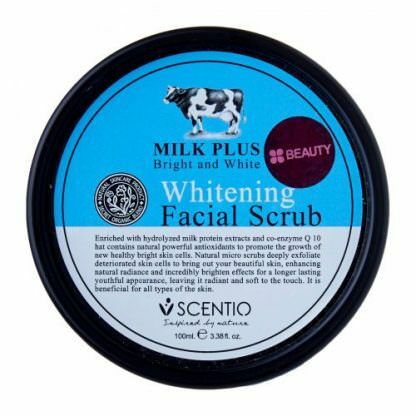 This facial emulsion will leave your skin feeling smooth, soft, and supple. 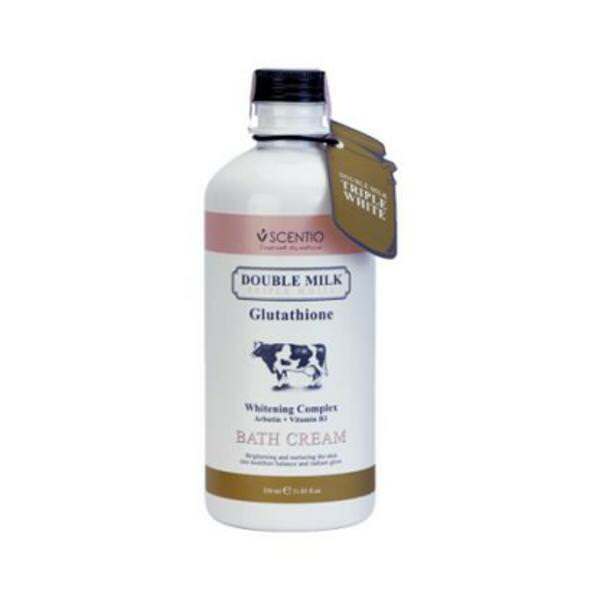 Double Milk Triple White Glutathione Bath Cream – Nuturing and brightening while lathering away impurities. formulated with milk protein and glutathione to help brighten, nourish and rejuvenate. vitamin C. a powerful antioxidant, protects and effectively improves overall skin tone, while vitamin B3 stimulating collagen synthesis and promoting cell renewal, your body’s skin will be left perfectly cleansed, soft and bright. Experience the touch of softness with this unique extra gentle body wash containing goat’s milk protein. With numerous nutritional advantages over cow’s milk and rich Vitamin E, B6, and B12, Goat’s Milk is an excellent skin moisturizer and rejuvenator. Infused with Co-Q10 to help fight free radical, stimulate elastin and collagen production. This Goat Milk Bath Cream will leave your skin feeling silky smooth, soft, and rejuvanated. Special Face Treatment. 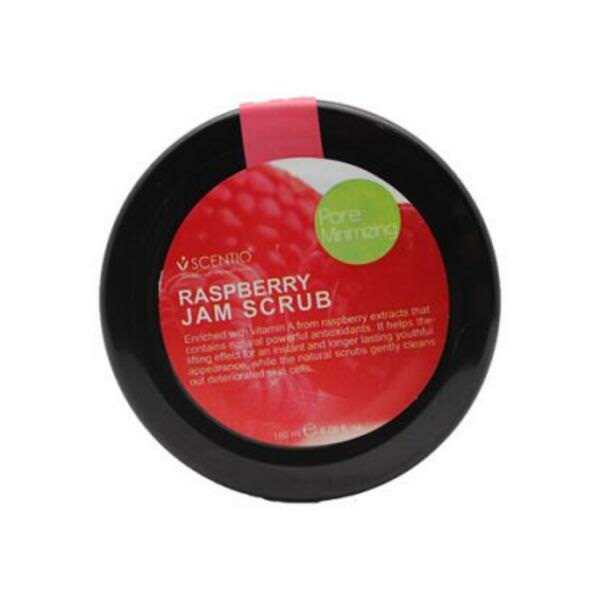 Scrub formulas enriched with raspberry skin extract that serves to nourish the skin and tighten the pores on the face. 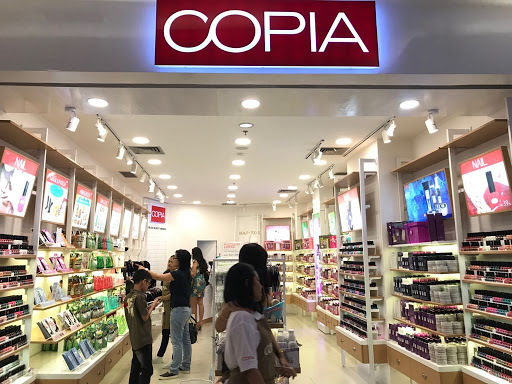 has a content that comes from the United States and contains Antioxidant Grape Seed Extract that serves to help protect the skin from premature aging, orange peel extract and white skin. Cucumber extract, Olive Oil, Jojoba Oil to moisturize the skin. And protect the skin from irritation. 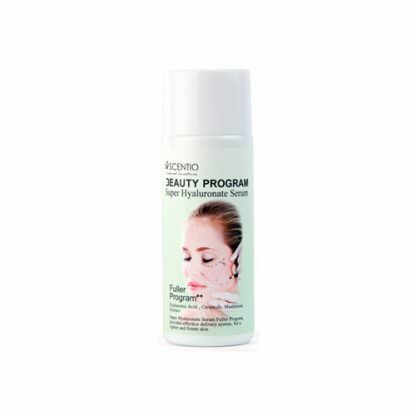 Specially formulated cream that intensely clarifies and even out under arm area skin tone. Easily absorbed into the skin. Keeps the area hydrate and soft smooth. Specifically formulated for oily skin, this oil control facial foam gently leathers away all dirt and impurities without stripping skin’s moisture level. Infused with Green Apple extract to help reduce excess oil, even out skin tone and brighten the complexion. Plant Peptide encourages collagenand elastin synthesis, while Red Ginseng extract, a natural antioxidant, protects against free radicals and revitalizes skin, leaving it feeling refreshed, smooth and with a radiant glow. 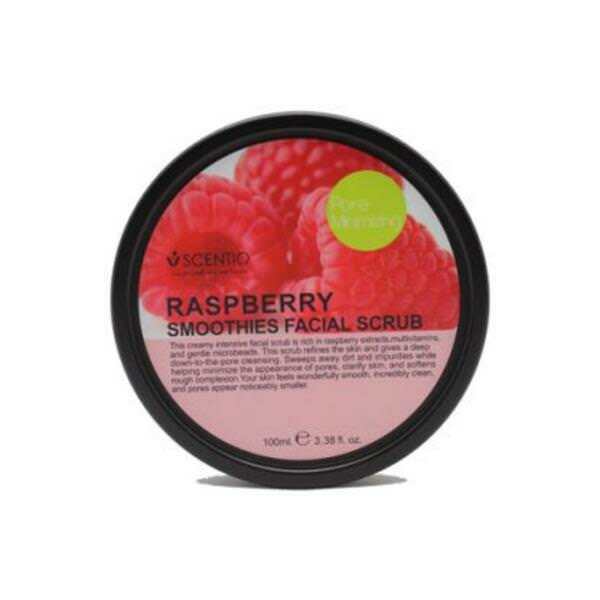 Brightening and nourishing to encourage a softer and glower skin. Infused with Vitamin C, Peptide, Coenzyme Q10 and Marine Collagen, this nutrient-rich body essence effectively nourishes, replenishes moisture nd brightens skin tone. This luxurious body essence will leave body’s skin rejuvenated and velvety smooth with a youthful glow.